I'm a big fan of history (as you may have guessed). So when I found out that they were rebuilding a large log cabin on the property here, I was pretty excited. The building once belonged to a wealthy woman who was the daughter of an automotive company executive. 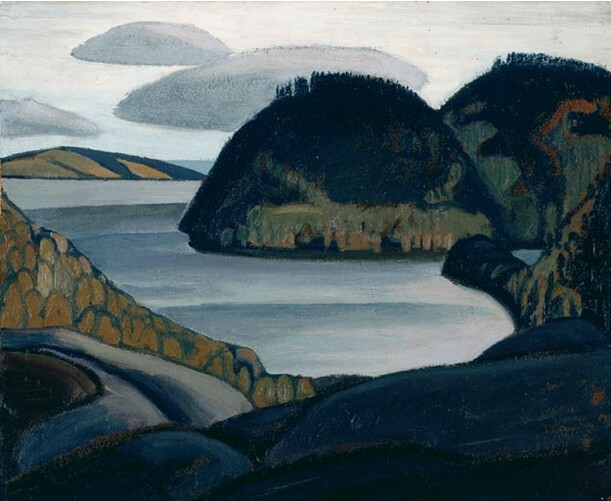 Rumour has it that she welcomed members of the Group of Seven into her Algonquin Park getaway so that they could complete their work. I like to imagine that maybe Tom Thomson or A.Y. Jackson leaned up against one of those walls while thoughtfully smoking a pipe or maybe even hung a painting or two on the walls before they became famous. 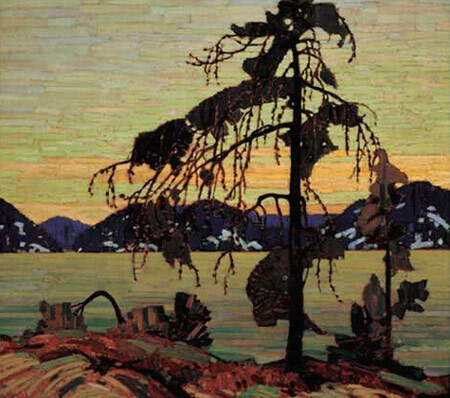 While Tom Thomson aptly captured the spirit of Algonquin Park in images like Jack Pine (shown above), Lawren Harris has always been my favourite of the Group of Seven. 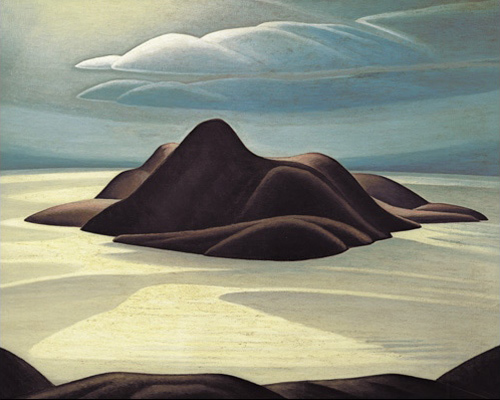 His paintings express the grandeur but also the desolation of the northern Ontario that I am better acquainted with. His paintings Pic Island and Coldwell Bay both depict places I visited as a child and they make me feel fortunate that I grew up in such a beautiful place. If you are interested in the Group of Seven, I highly recommend taking a trip out to the McMichael Art Gallery where they house an extensive collection.